Sam Greenwood/Getty ImagesThe European Tour said a ‘clerical error’ explained why a golf teacher in Florida named Tommy Fleetwood got a six-figure deposit meant for the world’s 11th-ranked golfer. Tommy Fleetwood’s $US154,000 winnings from the Open Championship were temporarily misplaced by the European Tour. The funds had accidentally been sent to another Tom Fleetwood – a Florida golf instructor who had previously played in a few events in Europe. The European Tour later called the mistake a “clerical error” and apologised to all parties involved. 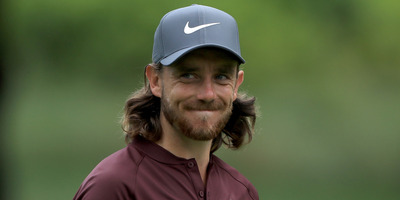 Tommy Fleetwood has been one of the hottest golfers of 2018, with five top-10 finishes in 14 events played. While he’s made over $US3 million for his play this year, his latest winnings had a bit of trouble making its way to his bank account. After finishing 12th at the Open Championship in July, Fleetwood was set to earn $US154,000. The money, however, was sent to a different Tom Fleetwood – an American golf teacher who had previously competed in Challenge Tour events in Europe and thus had his information on file with the PGA and the European Tour. The recipient of the $US154,000 accounting error was with a friend, Greg Thorner, when he made the discovery, and Thorner shared the story with Twitter promptly after realising what had happened. The famous Fleetwood, who was most likely focused on the more pressing issue of facing down the rest of the world’s best golfers in the PGA Championship this weekend, seemed about as calm as someone could be about a six-figure banking mistake. For its part, the European Tour has copped to the mistake, calling the transfer a “clerical error” and apologizing to all parties involved. That said, should his winnings ever go missing again in the future, Fleetwood will know the first place to look.